The world around you is constantly changing. Through mass media and the Internet you have a conscious awareness of how humanity is challenged every day. Because of this, people are nervous and confused and they are searching for answers. Intuitively many find themselves on the spiritual path trying to find the answers and the support they need. This is exactly why the angels are more present than ever before. 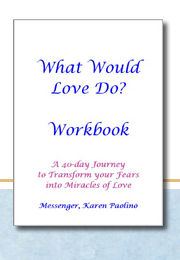 They want you to feel more peaceful and they are honored to help you in any way they can. Their mission is to help you discover the answers you seek. The angels were gifted to you by God since the beginning of time. They are messengers of love and light who act as intermediaries between heaven and earth. They have appeared throughout history and in many different cultures, most often portrayed as friendly spirits who walk among the people. God knew that when you were born into this human experience you might forget your connection to the divine and how loved you really are. So He sent the angels to help you. 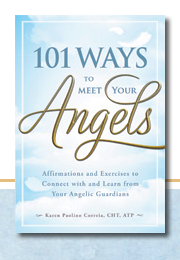 The angels have different roles and assignments to help you in every possible way you can imagine. God also gave you another significant gift, the gift of free will and free choice. This is a very important point to remember when working with the angels. Because of free will, you need to ask the angels for their help and guidance. 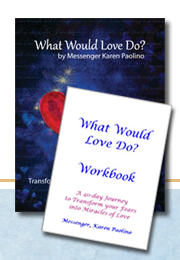 Once you ask, the angels get to work behind the scenes and you begin to witness miracles unfolding in your life. 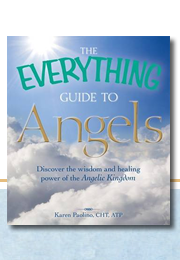 This book is true to its title, you are going to learn everything you need to know about the angels and how to work with them. You will receive all the tools you need to bridge the connection between you and the divine. With practice you will walk over the bridge and become one with the reality of heaven on earth. You will communicate with the angels and they will respond, with peace, clarity, encouragement, and wisdom. There is no previous experience required and you don’t have to be “gifted” or psychic to communicate with the angels. They will hold your hand every step of the way. They know you better than you know yourself and they know exactly how to help you. Just be curious and open your heart to receive. God and the angels want you to experience heaven on earth. 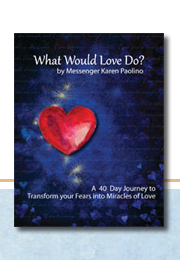 When you develop a deep desire to experience it, the divine says, “Yes! She’s finally ready. Let’s step in and help.” The co-creation begins and everything naturally falls into place to bring about its manifestation. With faith, trust, and belief in the impossible, miracles can happen. You will begin to experience more joy, happiness, and peace in every aspect of your life: your relationships, your home, your career, your finances, and overall well being. The angels are ready to help you remember your true potential as spirit, living in the human experience. It’s time to wake up and lift the veil between heaven and earth. Just remember these two truths as you embark on the journey. One, you are never alone and two, you are always loved unconditionally by God and the angels. 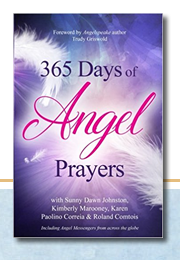 Learn to communicate with the angels and receive messages, healing, and protection. Co-create with the angels in all aspects of your life; relationships, life purpose, prosperity, healing and finding the perfect parking spot.